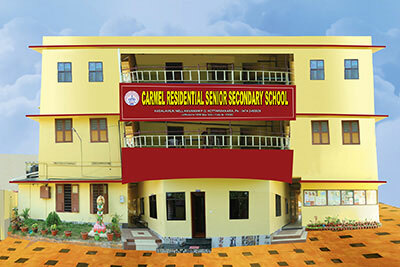 Carmel campus is located beside a quite road on a beautiful slope. A lush green campus in a picturesque surrounding offers a very quite, peaceful and refreshing environment, intellectual stimulation and creativity. The campus has a very open sports and activities ground that provides the opportunity for conducting various activities such as running, basketball, volleyball, badminton, band etc. The school building houses well lighted and ventilated class rooms equipped with smart class facilities, auditorium, labs, library faculty rooms and administrative blocks. The buildings are Wi-Fi enabled. Carmel offers safe and efficient transportation to all its students and staff. The transportation facilities consist of a fleet of 15 modern, well-maintained buses handled by efficient drivers and support staff.